The Reds are level with defending champions and leaders Manchester City at the top of the Premier League table. Liverpool are flying high after their 100 per cent start to the new season and on Tuesday, Jurgen Klopp’s men appeared in high spirits during their first training session following their 2-0 win over Crystal Palace on the weekend. The Reds were the bookmakers’ favourites to end Manchester City’s hopes of retaining the Premier League title prior to the start of the season. And two games in to the 2018/19 campaign, the Merseyside outfit have done nothing to harm their odds. 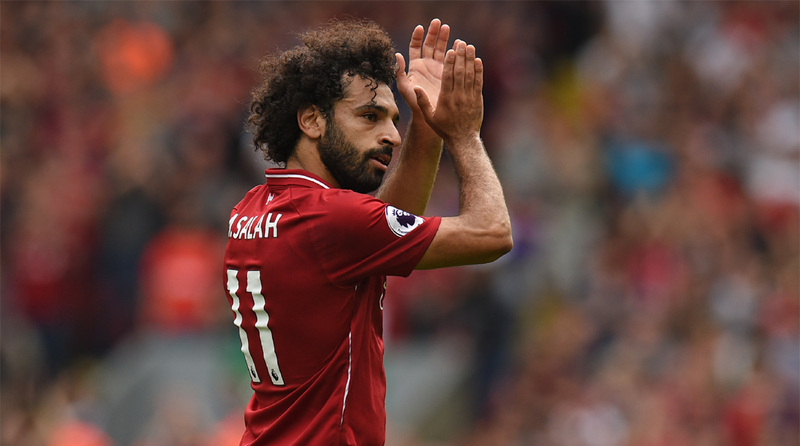 They thrashed a hapless West Ham United 4-0 at Anfield in their opener before following it up with an impressive, albeit controversial, victory over the Eagles at Selhurst Park. Palace were incensed that referee Michael Oliver awarded the visitors a penalty and James Milner promptly dispatched his effort to turn the tide of the match. Salah had appeared to stumble under minimal contact in the box and the home fans let him know what they thought of him by booing him throughout the tie. The Egyptian was involved in two key incidents in the second-half as well as he was clean through on goal before being brought down by Aaron Wan-Bissaka on the edge of the box. Match official Oliver promptly gave the young defender his marching orders and the result was put to bed when Salah set up Sadio Mane for the second deep in injury-time. The former Red Bull Leipzig man has slotted in seamlessly in the heart of the Liverpool midfield and looks set to become the club’s next midfield general. Liverpool next face Brighton & Hove Albion at home on Sunday (2200 IST) in the final club fixture before the international break ensues.